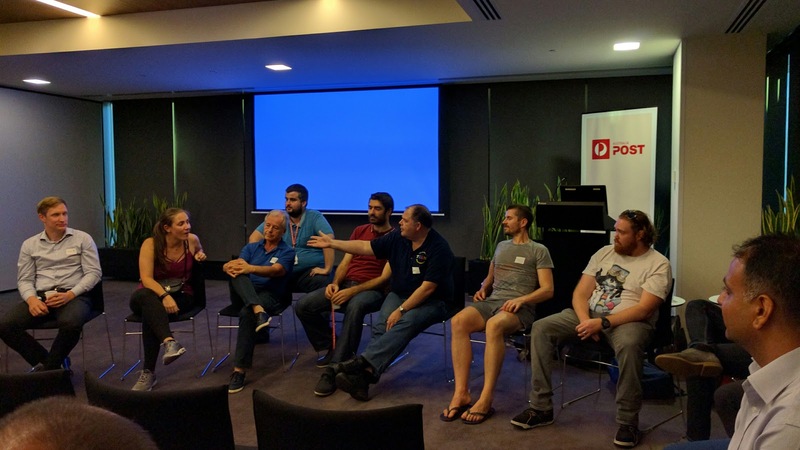 On 16th of March, the TEAM group organized its ninth meetup in a sophisticated office at Australia Post. Thanks to the Digital Delivery Team of Australia post for being supportive and proactive in sponsoring the event and providing the venue, pizzas and drinks. The TEAM meetup group is expanding rapidly and it is great to see testers engaging more into intellectual discussions about their craft. At the time of writing this post, the group stands closer to 380 in just its ninth month of existence. Scott Miles introduced TEAM to the attendees and there were a lot of new faces. It is worth mentioning here that both Scott and Lee Hawkins have been accepted for their talks at StarWest conference which would be held at Disneyland Hotel in Anaheim, California. After his short introduction, I started the discussion by asking the group what was their definition of a bug. On Paul Seaman’s suggestion, we decided to commence the discussion referring to a blog post that I wrote many moons ago about bugs vs. features. The post was about paper towel dispensers that may dispense more than one towel even if you pull just one. From a user’s perspective that may be a bug because the user may expect just one towel to be dispensed. However, the dispenser or towel manufacturer may want users to pull more than one towel to increase the profits. I left the discussion right there so that people could think more on the topic and can come up with their own reasoning. In order to maintain focus and increase participation, we decided to break the big group into two smaller groups. There was a lot of debate and discussion within both smaller groups while almost all members were trying to present views from their own perspective. There was a lot of energy and laughter in the room because attendees were sharing their experiences, asking questions and being questioned on the definitions they came up with. It was evident that many attendees started thinking in a shallow way, associating bugs with requirements and code, etc. However, debate and questioning helped them think more deeply and critically. Bug: Anything that threatens the value of the product. Something that bugs someone whose opinion matters. Everyone in the room seemed to agree with this definition. Now was the time for the debate on the main topic of this meetup: Zero Bugs. Each group was to take a side, in favor or against. Since there were not many who favoured the idea of achieving zero bugs, we asked for volunteers who could think and come up with arguments especially against something that they believed. It was certainly a challenge for many of them and some of them told me after the meetup that it was a great experience and a learning for them about thinking beyond their beliefs. The debate was indeed feisty. Arguments and counter-arguments kept the room full of energy. Some of the testers who never before spoke at the meetup came up with such convincing arguments that everyone applauded. The passion of these testers was contagious and was making my job as a moderator harder. Colin Cherry shared his experience that he recently discussed in his blog post too. Scott had already suggested that everyone keep an eye on our website, http://www.testengineeringalliance.com, where we are offering much more value to the testers of Australia – including the opportunity to take the Rapid Software Testing course with Michael Bolton and a testing conference, Australian Testing Days, all happening in May 2016.